In addition to the exhibits, the Expo will also feature a variety of programs, including: live performances, screenings of historic films, a forum at which authors will read from their recently published histories of San Francisco, displays of art by Frank Alan Zimmerman and by the San Francisco Quilters Guild, and opportunities for visitors to record oral histories and digitize photographs to be posted on the FoundSF website. On Saturday at 2:00 p.m. there will be a Community History Panel featuring Woody LaBounty of the Western Neighborhoods Project, Peter Linenthal and Abby Johnston of the Potrero Hill Archives Project, and Vicky Walker of the Bernal Heights History Project. On Sunday at 2:00 p.m. there will be a presentation on the work of muralist Mona Caron; and at 3:00 p.m. Willy Lizárraga will give a presentation on the history of San Francisco Carnaval. Kristin Morris, Associate Curator for the SFMHS, points to the SFMHS’s ongoing series of monthly programs in explaining the basis for this collaborative event. This series has provided an opportunity for the SFMHS to partner with variety of local historical organizations, inviting those partners to introduce their work to a larger audience. Now, the SFMHS has invited those same organizations to participate in the Expo in order to further extend their outreach. The SFMHS is providing free admission in the hopes of attracting as many visitors as possible – especially students. By including exhibits by local archival repositories such as the California Historical Society and the San Francisco History Center, the SFMHS also hopes to introduce visitors to venues where they can conduct their own historical research. 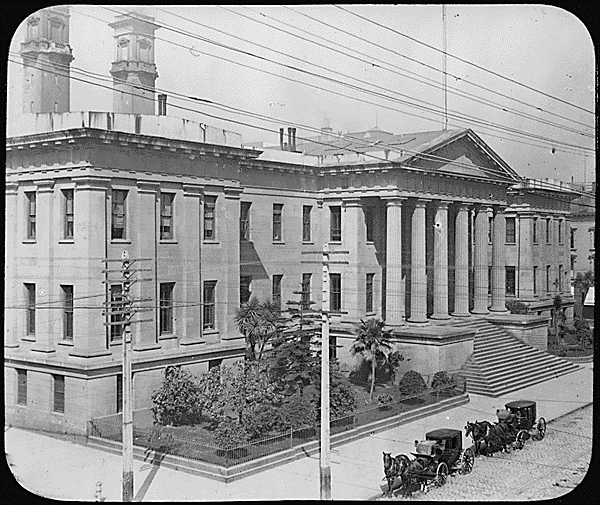 The SFMHS plans to continue ongoing renovations to the Old Mint building and to eventually convert that space into museum of San Francisco history. Because the SFMHS has a limited collection of materials for exhibition, the new museum would involve a collaboration with some of the organizations who will be participating at the Expo. The permanent exhibition would include artifacts on loan from many of those organizations; and some of the organizations will also be invited to curate temporary exhibits. For more information about the Expo, please call the San Francisco Museum and Historical Society at: (415) 537-1105, extension 100.